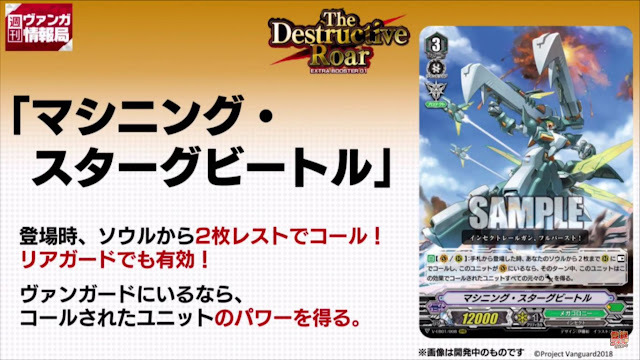 AUTO [Vanguard/Rearguard Circle]: When placed from hand, choose up to 2 cards from soul and call them to Rearguard Circle as Rest, and if this unit is on Vanguard Circle, it gets the combined power of all units called by this effect until end of turn. Machining Stag Beetle is V-EB01/008 RRR, below Juggernaut Maximum and above Machining Mantis. 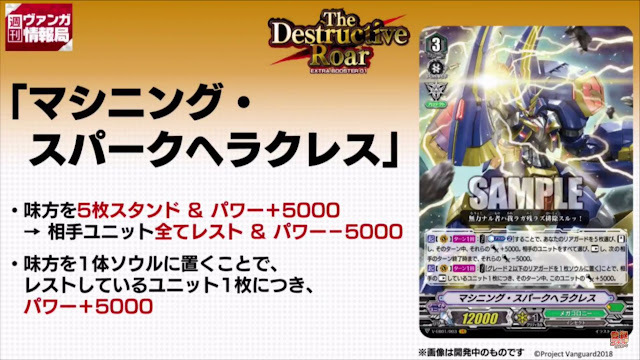 ACT [Vanguard Circle ] Once per turn: [Cost: Counterblast 2] Choose 5 of your rearguards, Stand them, and they get Power +5000 until end of turn. Rest all of your opponent's units, and until the end of your opponent's next turn, they get Power -5000. ACT [Vanguard Circle]: Once per turn: [Cost: Put 1 of your grade 2 or greater rearguards put into your soul] This unit gets Power +5000 for each of your opponent's Rested units until end of turn. 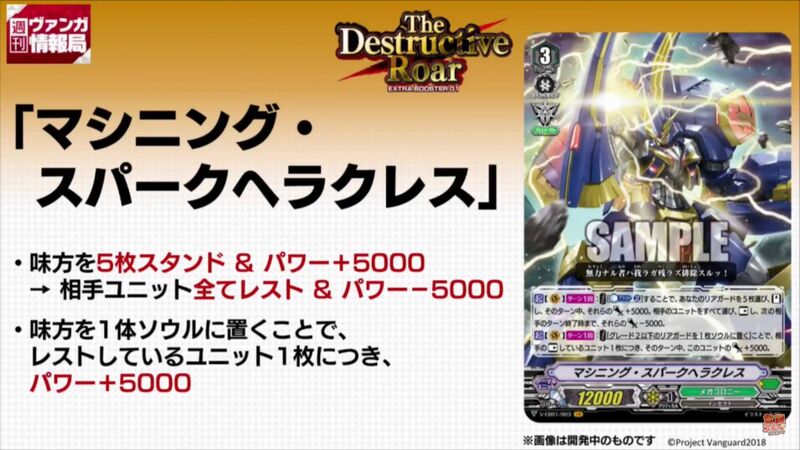 Machining Spark Hercules is V-EB01/003 VR, the first Vanguard Rare of the set to be revealed.